makes perfect gifts! cute right? this can be a scooper too! Here's what the packaging says: Adding rock salt in the bath can help draw out toxins and to remineralise the body, soothe aches, as well as soften the skin. Yes that's why adding a bit of bath salts into your baths will help soothe that muscle ache of yours after a long day running around. You don't need to go out and buy expensive bath salts when you can make your own "stock" at home! 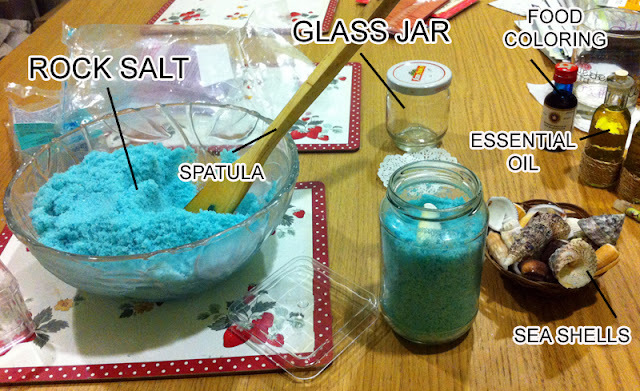 How To Make Your Own Bath Salts? 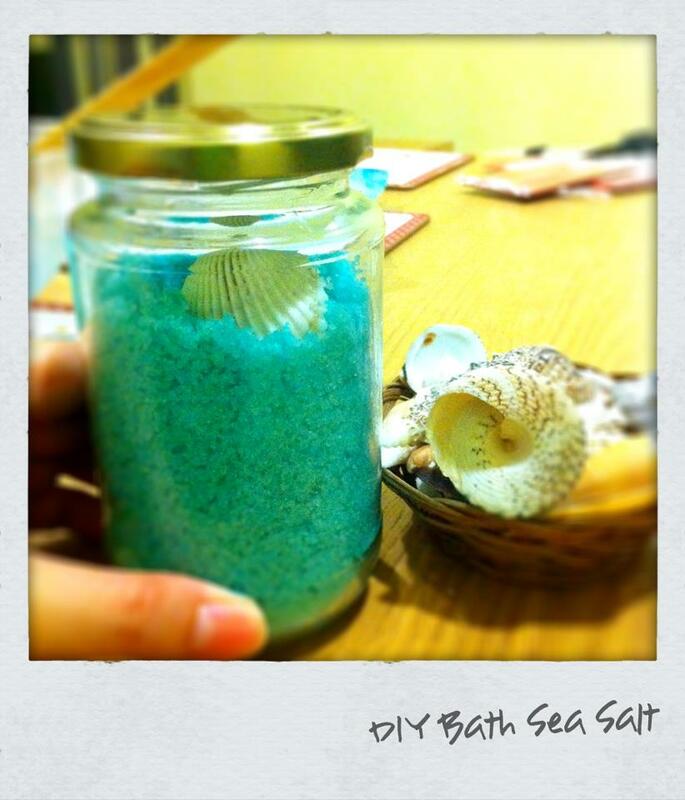 Depending on the amount of bath salts you would like to make, prepare a bowl that can fit the size. I used a large bowl with a spatula for mixing. Pour the salts into the bowl and add a dab of the food coloring of your choice. Depending on how strong/dark the color you want, you can add a second dab or more to control the control tone. For mine, I added a drop into a bowl full of salt. Mix it consistently, the color will gradually even out. Add a few drops of essential oil to your mix. Try lavender for relaxing baths or refreshing fruity smells. Continue to mix it evenly. 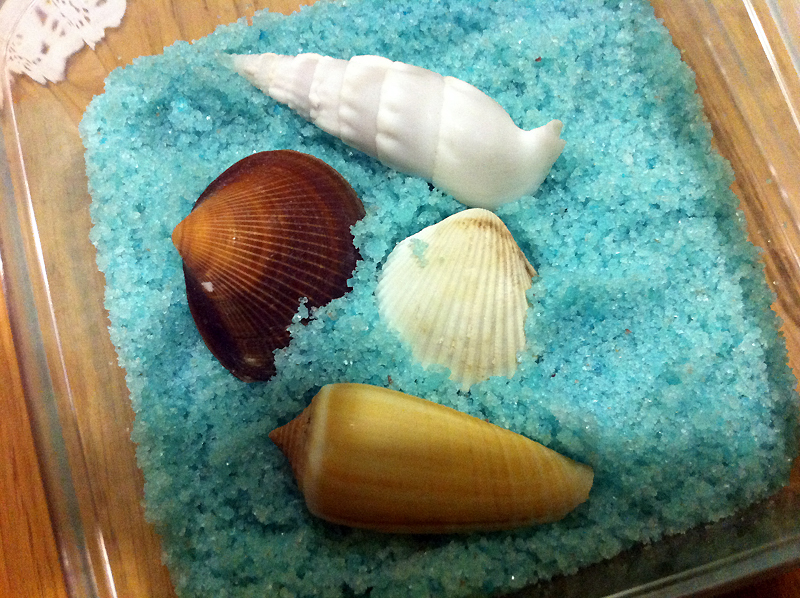 The final product is a evenly colored salt mix that smells lovely! Package in glass jars (recycle jam jars, clean and dry) or smaller gift packs. They're also perfect as gifts, think personalized birthday gifts or thank you appreciations? How about bridal shower or wedding favors? Just need to add a twist to your bath salts (scent/color/flowers/etc) or package them in a special way. 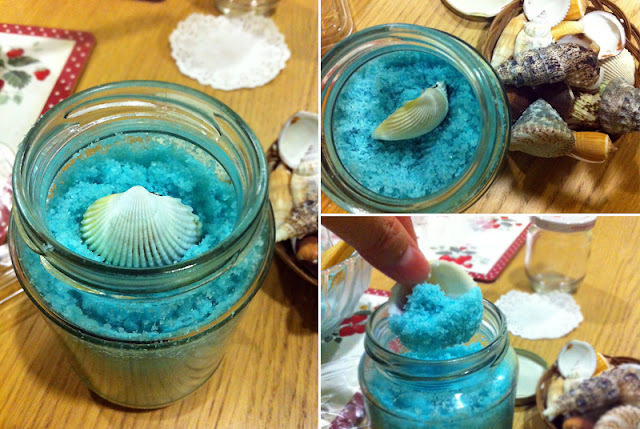 My idea was to make blue Bath salts, put them in glass jars (jams or recycle your glass jars don't throw them away) and add in a sea shell for decoration. The sea shell acts as a scooper as well which is makes it so beach-perfect. That's absolutely beautiful! 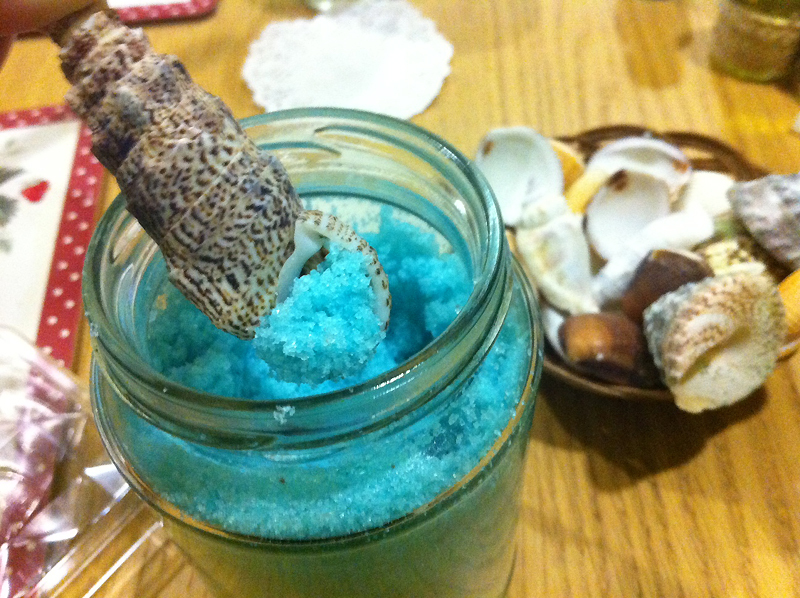 And using the sea shell as a scooper is a genius idea! Really such a good idea of indulging yourself in bath time yet creative! Your really good information. I cant believe I just did not know how much this. Where to get cheap essential oil in malaysia?